The constituent companies include Al-Tamimi, Fouad Abdulla Fouad Co. Ltd. (FAFCO), Saudi Electro-Mechanical Construction Co. Ltd. (Petcon) and plus Al-Jabr Trading Co. Collectively, this grouping has experience throughout the full spectrum of the industrial construction market to include all aspects of building, civil, structural, mechanical, electrical and instrumentation disciplines and also includes a strong background in the specialist pipeline and steel fabrication fields. It is with great pleasure that I take this opportunity as Chief Executive Officer of Gulf Consolidated Contractors Co. (GCC) to share our immediate short and mid-term plans as we move forward in our new management’s vision. Meticulously conceived and consistently organized, GCC is the result of multiple and simultaneous mergers of long-established Saudi Arabian construction companies. Our 60 year history includes continuous kingdom involvement in the major disciplines of industrial construction: civil, structural, mechanical instrumentation, electrical instrumentation, and specialist pipeline construction activities. We look forward to maintaining and enhancing the proud history of our constituent companies as partners-in-success. 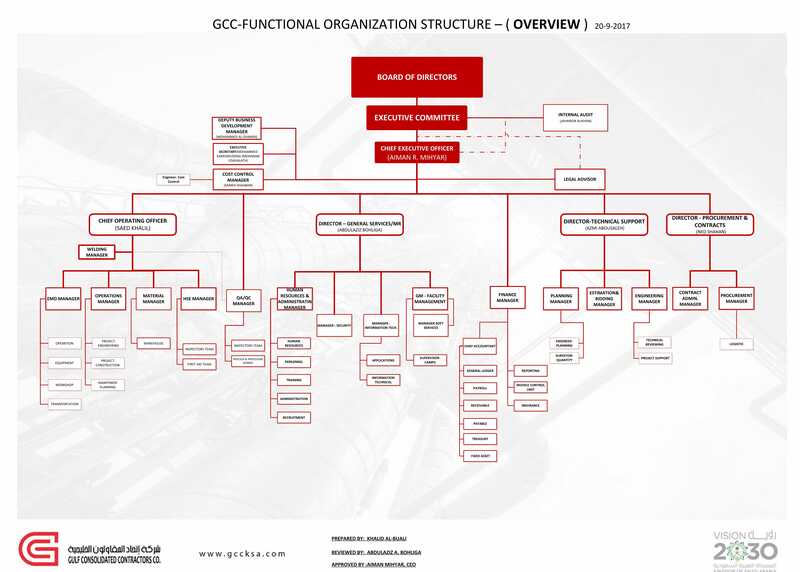 Our objective over the next five to seven years is to convert GCC from its present [mainly construction related activities] into a full service entity, including: engineering, procuring, constructing and a project-management company. The ultimate goal is to focus our efforts toward establishing GCC as a leading EPC/PM. In order to achieve this challenging goal, we intend to build a strong and technically capable high-level engineering division, to serve as the backbone of our company. This capability will be fully supported by a strengthened procurement division; thus allowing us to undertake mega-multi-discipline projects in the near future. We have a collective commitment to ourselves, clients, shareholders and the local community, to not only earn a profit and expand business, but also to gain the respect and professional recognition of our peers. 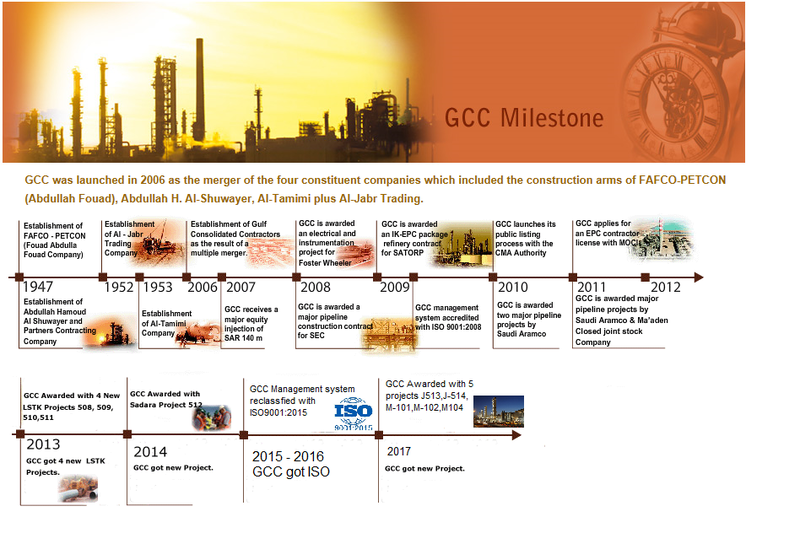 GCC was launched in 2006 as the merger of the four constituent companies which included the construction arms of Al-Tamimi FAFCO-PETCON (Abdullah Fouad), Abdullah H. Al-Shuwayer, Al-Tamimi and Al-Jabr Trading. 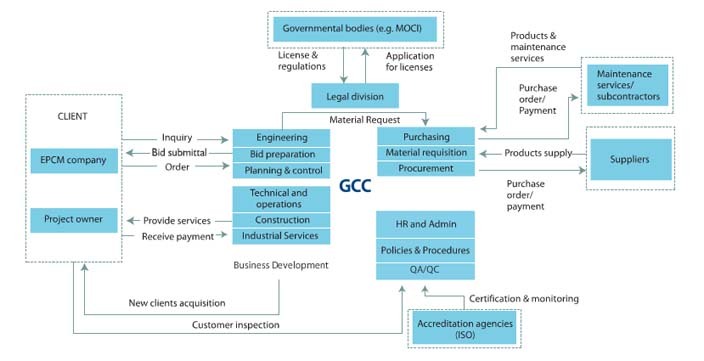 GCC’s operating management model entails the traditional contracting model of bridging EPCs and project owners with sub-contractors & suppliers. 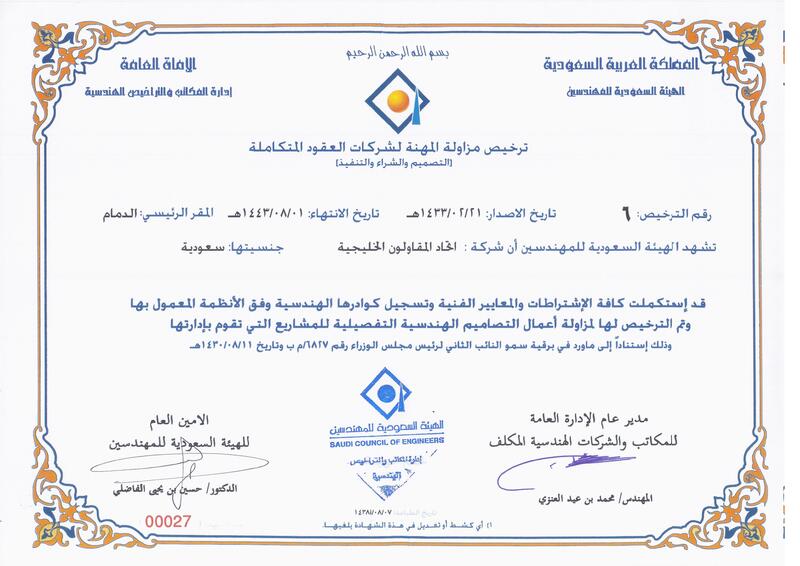 GCC is proud to have been granted a license to carry out in Kingdom Engineer, Procure, Construct (EPC), projects being one of the first construction oriented companies achieving this status.